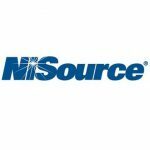 NiSource expects to reduce its greenhouse gas emissions from electric generation by 90 percent from 2005 levels compared to a 50 percent reduction by 2025 under goals set in 2016. This is according to the company’s 2018 Integrated Annual Report, which highlights its new emissions reduction targets that the NIPSCO parent hopes to hit by 2030. These targets are driven by a plan announced in late 2018 by Northern Indiana Public Service Co. to retire all of its coal-fired electric generation by 2028 and replace that capacity with renewable energy sources, such as wind, solar and battery storage technology. In the natural gas business, NiSource continues to expect to reduce methane emissions from gas main and service lines by 50 percent from 2005 levels as its pipeline modernization programs progress. Merrillville-based NIPSCO serves approximately 810,000 natural gas and 460,000 electric customers across northern Indiana.